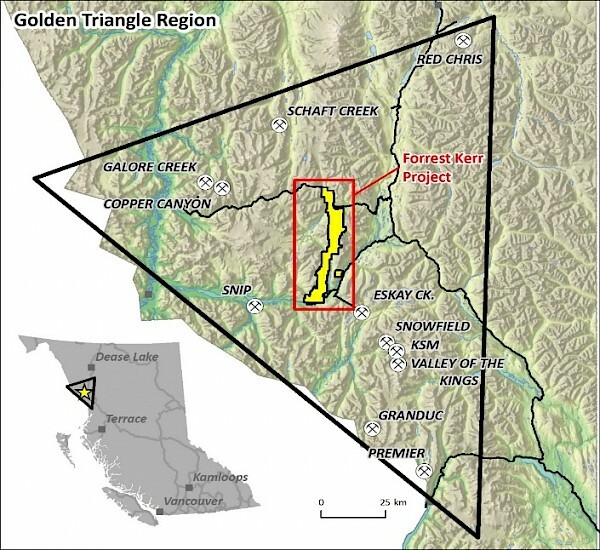 Bob Moriarty of 321 Gold discusses a gold explorer in British Columbia's Golden Triangle that just released off-the-charts drill results. I've written about Aben Resources Ltd. (ABN:TSX.V; ABNAF:OTCQB) before. In my first piece, I talked about Ron Netolitzky, the man who discovered Eskay Creek and the Snip mine. It looks as if he may have done it again with assays of 62.4 g/t gold over 6.0 meters in a zone of 38.7 g/t Au over 10.0 meters. Those are Eskay Creek grade intercepts. The hole is the first of eight holes already drilled in the newly discovered North Boundary zone in a planned 5,000-meter drill program. Aben feared the numbers being leaked out so made the decision to announce early. The highest grade intercept within that 10.0 meters was 331.0 g/t Au over 1.0 meter but there were four high grade intercepts overall in the one hole, including 22.0 g/t Au and 22.4 g/t Ag over 4.0 meters, 3.9 g/t Au and 4.0 g/t Ag over 13.0 meters and 8.2 g/t Au and 1.4 g/t Ag over 6.0 meters. The area was drilled before, over twenty years ago, but the high cost of operation due to a lack of power and road access meant progress came at too high a cost. A recently commissioned power plant has lines running across the southern portion of the Forrest Kerr project. And the British Columbia government has built road access to much of the Golden Triangle. What couldn't be afforded 25 years ago can be worked now. 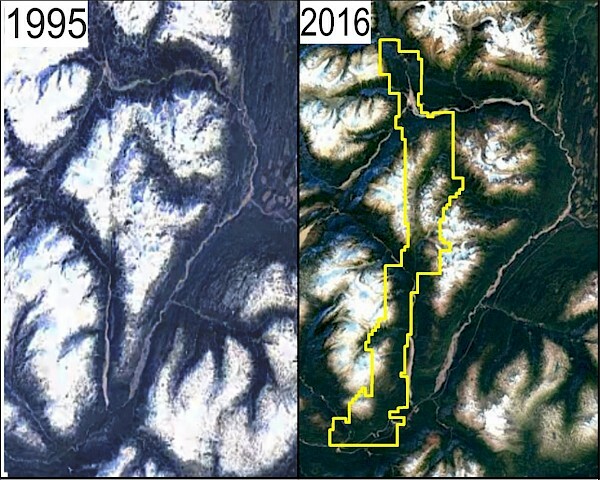 If you look at photos from Google Earth from above, you can see how the glaciers receding have opened up a lot more ground to be prospected. The Golden Triangle is going to be the go-to area for the near future with results coming from a whole heap of companies. Aben's terms on the Forrest Kerr project call for the company to spend $3 million by 2020 to earn 100% of the project. The company has over 40 million warrants outstanding at an average price of $0.14 that would bring in over $5 million so them spending $3 million in exploration on Forrest Kerr is not going to be a problem. I suspect Ron Netolitzky hit just hit his third high-grade gold mine in the Golden Triangle. My subscribers have been warned in the past and the present has arrived in spades. Aben is an advertiser. I participated in the past PP and own shares. Naturally I am biased. Do your own due diligence. 1) Bob Moriarty: I, or members of my immediate household or family, own shares of the following companies mentioned in this article: Aben Resources. Aben Resources is an advertiser on 321 Gold. I determined which companies would be included in this article based on my research and understanding of the sector. 2) The following companies mentioned are billboard sponsors of Streetwise Reports: Aben Resources. Click here for important disclosures about sponsor fees.